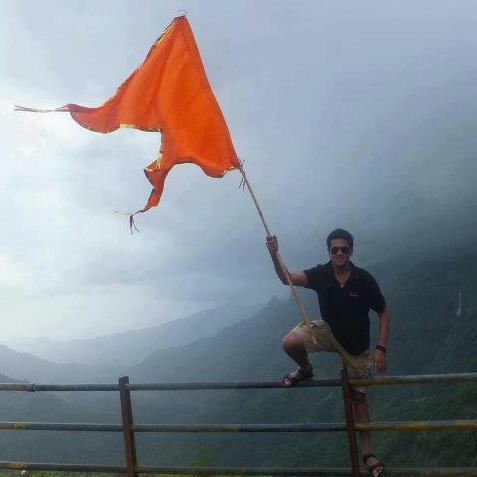 JAY HINDUTVA, JAY HINDURASTHRA.......... JAI SREE RAM............!!!!!!!! "Hinduism is not a religion it is a way of life. " Show one Mullah or Maulvi who has declared a 'fatwa' against terrorists. Hindu-majority Maharashtra, Bihar, Kerala, Pondicherry , etc. have in the past elected Muslims as CM’s, …..
Can you ever imagine a Hindu becoming the CM of Muslim - majority J&K? In 1947, when India was partitioned, the Hindu population in Pakistan was about 24% ….Today it is not even 1%. In 1947, the Hindu population in East Pakistan (now Bangladesh) was 30% …. Today it is about 7%. What happened to the missing Hindus? Do Hindus have human rights? …whereas Hindu population has come down from 87.2% in 1951 to 85% in 1991. How come Muslims are proclaiming 5 times a day on loud speakers that there is no God except Allah? Hindus now beg for their sacred places at Ayodhya, Mathura And Kashi? Why Gandhiji objected to the decision of the cabinet and insisted that Somnath Temple should be reconstructed out of public fund, not government funds. When in January 1948 he pressurized Nehru and Patel to carry on renovation of the Mosques of Delhi at government expenses? Why Gandhi supported Khilafat Movement (nothing to do with our freedom movement) and what in turn he got? …. Why Hindus cannot teach Gita or Ramayan in our schools? ethnic cleansing of 4 lakh Hindus from Kashmir? communal and Jihadism is secular, and at last, Bharat is communal and Italy is Secular? In what way, J&K is different from Maharashtra, TamilNadu or UttarPradesh, to have Article 370? Temple in Prabhadevi, Mumbai ….Can a Hindu - say Mulayam or Laloo – ever become a trustee of a Masjid or Madrasa? Dr. Praveen bhai Togadia has been arrested many times on flimsy grounds. Has the Shahi Imam of Jama Masjid, Delhi, Ahmed Bhukari been arrested for claiming to be an ISI agent and advocating partition of Bharat? A Muslim President, A Hindu Prime Minister and a Christian Defence Minister run the affairs of the nation with a unity of purpose. 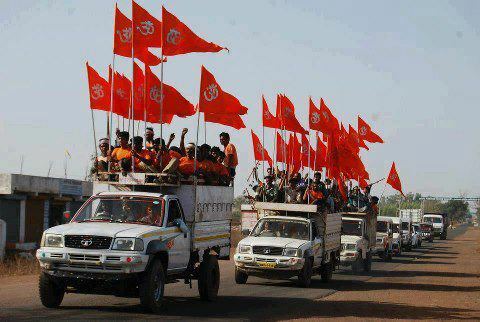 Can this happen anywhere, except in a HINDU NATION - BHARAT?